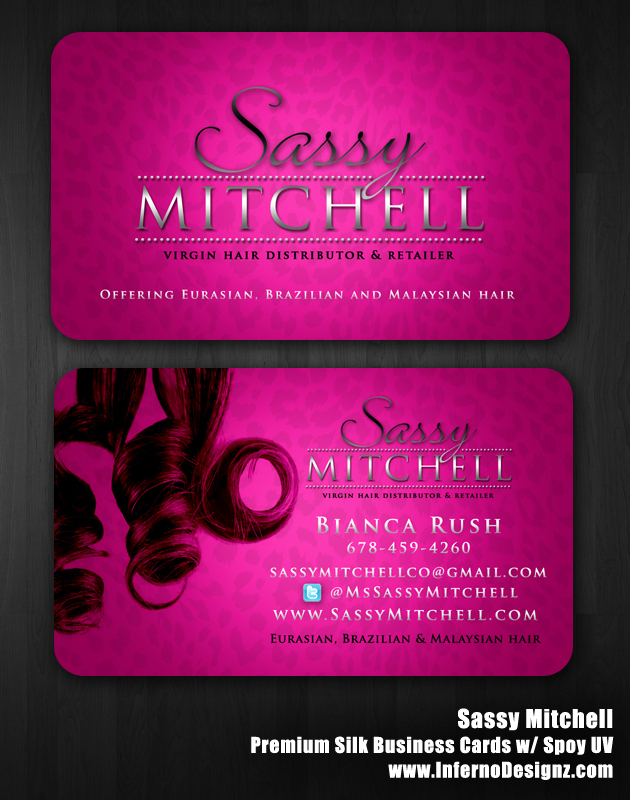 Sassy Mitchell is the premier distributor/retailer for Luxury Virgin Hair. With celebrity clients, the best product around and great customer options there is only one option when it comes to purchasing Hair! 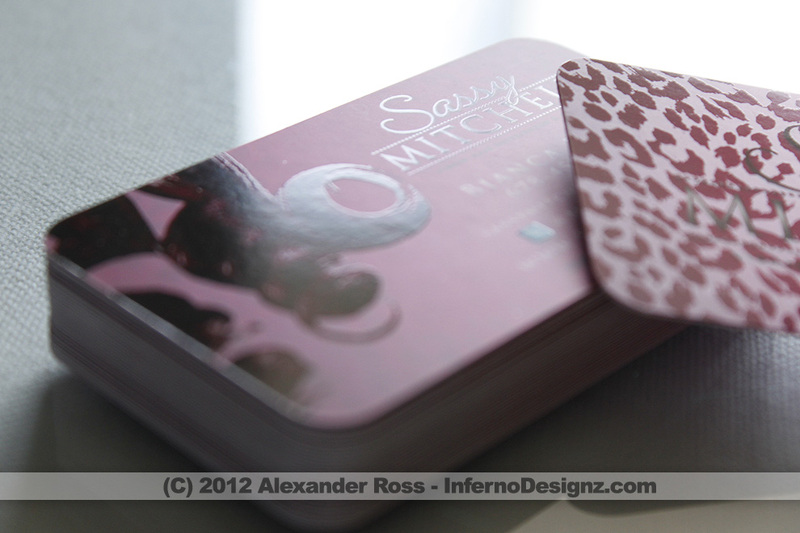 Custom Silk Business Cards, with additional SPOT UV in Cheetah Print. 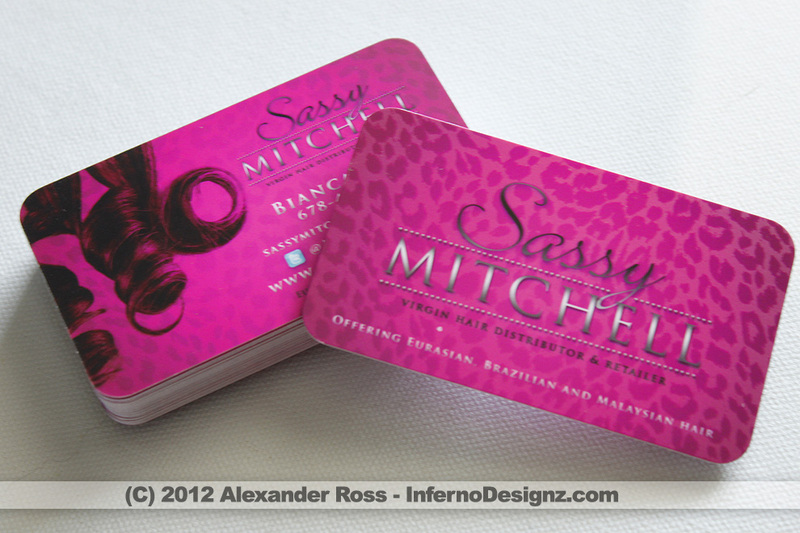 With a real smooth surface and a unique glossy shine you can bet you won’t lose her card.